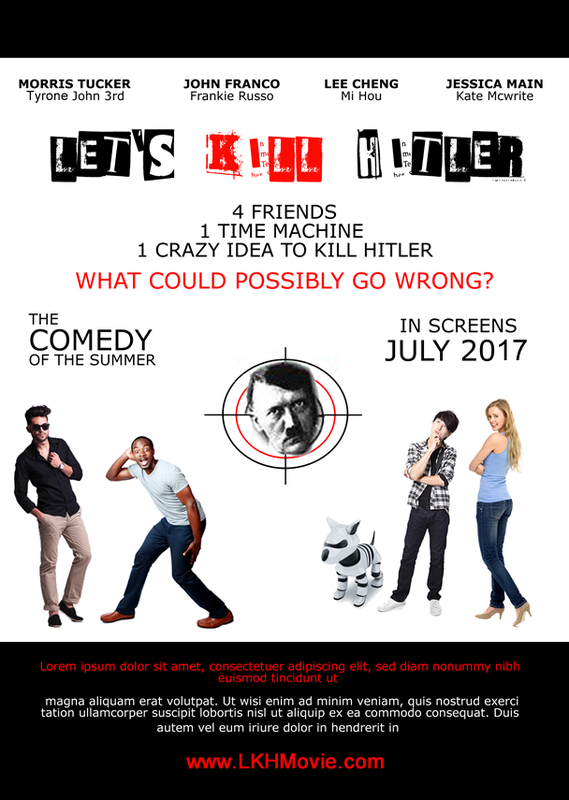 We are currently seeking to sell our feature-length comedy screenplay, “Let’s Kill Hitler”. Logline: Four childhood friends with a time machine, embark on a mission to assassinate history’s tyrants. Their failed attempts to kill Hitler allow him to escape into present day New York City. Having difficulty interacting with the modern world, Hitler devises a plan to take over. “Lets Kill Hitler” is analogous to “Back to the Future” meets “This is the End” meets “Hot Tub Time Machine”. The Story is about four friends that grew up in the same orphanage; Kate, Bill, Mi and Frankie. Mi, a technical genius, invents a time machine. They decide to use the time machine for the good of humanity by erasing cruel oppressors from history. Adolf Hitler is chosen as the first target. The friends travel to a time when Hitler was a child, believing their mission would be easier to accomplish then. Once they arrive in the past, they find no one has the courage to kill the mean child, so they threaten him to be wary of his future actions or suffer dire consequences. When they return to the present, they find it has changed, and history now shows that Hitler had invaded China. Hitler’s modified choice was most likely due to the altercation he had with Mi. In an attempt to rectify the situation, they return back to the past, this time to an older Hitler. Not only do they fail again, but Hitler manages to escape into the present, running loose in New York City. Now they have to stop him from taking over the world in their own time! We believe this movie would appeal to a very wide audience and the subject matter alone would evoke social conversation and possibly increased media coverage. Yes. Please send the script by email. Yes. Please send the script by mail. Interesting, but not good timing for me.